I honestly cannot remember the last time I finished a book in one sitting. I picked it up after dinner – intending to read a few pages before bedtime – and literally could not put it down. To say this book is an action-packed YA would be putting it mildly. In addition – no love triangles, no becoming savior of the world, and NO stupid character names. Nate Turney, and his two best friends (Chase and Dean), were messing around in the woods when Nate got a text from his girlfriend (Janis) to meet up at a local abandoned house (also located in the middle of the woods). It was at that very moment when I knew this book was for me. I loved how the main characters had humor and the good sense to not go headfirst into danger. Of course, that good-sense was short-lived, (it’s a YA Book, of course the trio of teenage guys are going into the “crackhouse”). There they find the body of Janis. Shocked and devastated, Nate is still reeling when all the trouble happens. Suspicious men come after the boys, followed by corrupt cops and soon the situation becomes life-or-death. With no one to turn to and the body of Janis still on his mind, Nate knows one thing for certain – he has to get to the bottom of this – before anyone else turns up dead. The characters were fresh and enjoyable to read. The imagery and scenes were vibrant and exciting. Now, the book did require (as most YA novels) a suspension of belief. Most notably was: why didn’t they call the cops. Yes, the cops were corrupted…but I still think they could’ve tried a bit harder on that front. Also, their city had the most easily stolen cop cars I’ve ever read about…(seriously Georgia…are you even trying? It was like they were passing out keys during a parade). 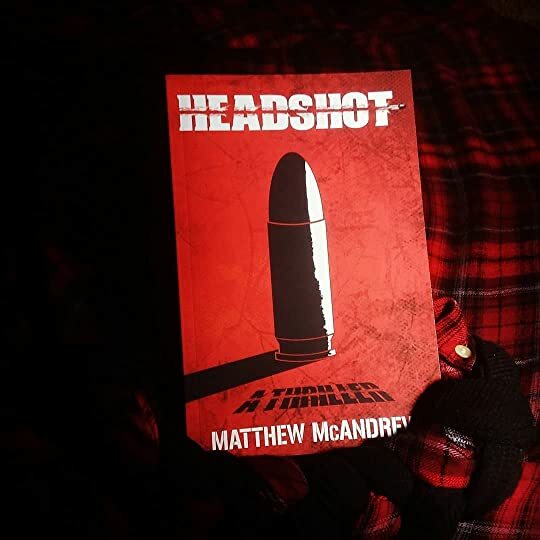 I loved reading this book and cannot wait to see what Matthew McAndrew will write next! P.s. pg 154 – Best title reference in the novel I’ve seen so far! With many thanks to Matthew McAndrew and Dark Mantle Publishing for providing a free copy in exchange for an honest review.